Parit Buntar is the most northern town of Perak and located close to Penang and Kedah. There is no airport in Parit Buntar. Hence, the only way to go to Parit Buntar by public transportation is by taking the bus or train to Parit Buntar. Parit Buntar is not popular for its tourism; instead, Parit Buntar is used as the interchange station for ETS train between Butterworth and Padang Besar. Apart from that, the construction of Universiti Sains Malaysia (USM) in Parit Buntar also results in more demands of ETS train to Parit Buntar. You can go to Parit Buntar by ETS via two ETS routes namely Gemas-Butterworth-Gemas route and Gemas-Padang Besar-Gemas route. 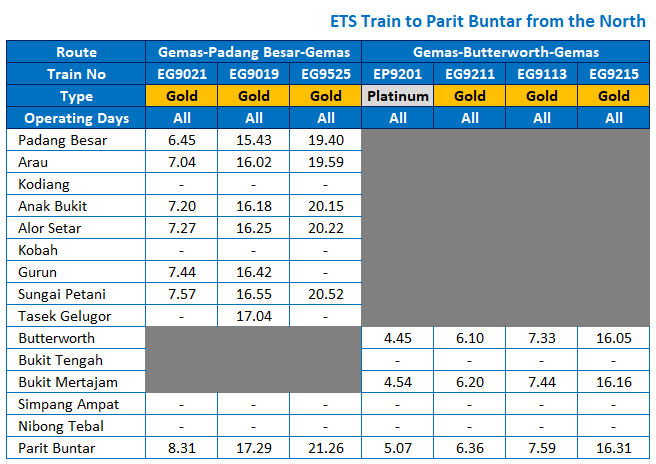 Click to see the schedule of ETS train ticket to Parit Buntar from the north, effective from 1st August 2017. 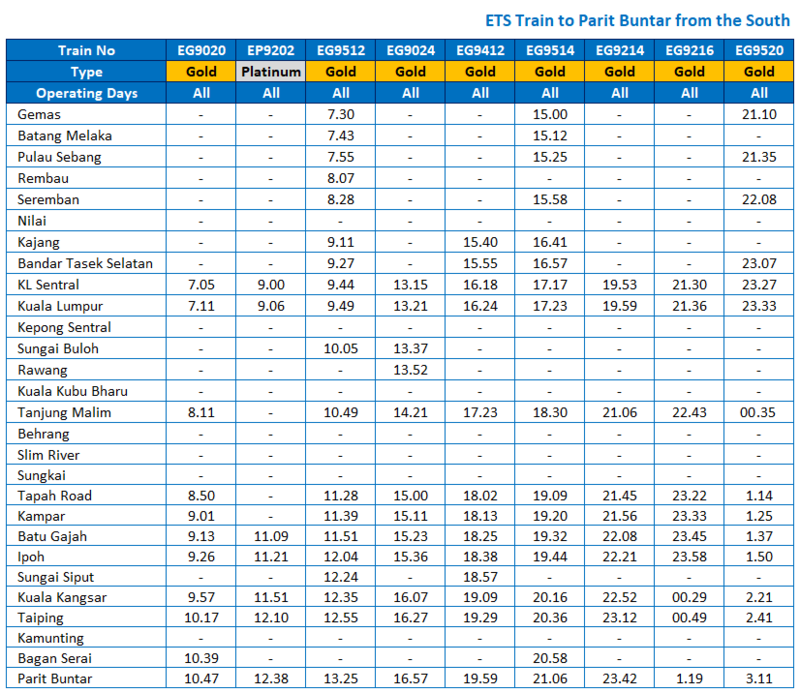 Click to see the schedule of ETS train ticket to Parit Buntar from the south, effective from 1st August 2017. The location of KTM Parit Buntar train station is in the city center of Parit Buntar. Once you get there, usually the only available public transportation available is taxi. Most of the locals would have their family or friends to pick them up from the train station. The taxi fare from the Parit Buntar to the campus is about RM15. Alternatively, you can try online apps that provide short distance transfer service such as Uber or Grab Car. Easily Book ETS Train Tickets to Parit Buntar Online!